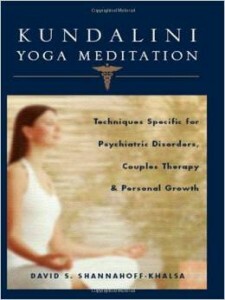 Kundalini Yoga Meditation: Techniques Specific for Psychiatric Disorders, Couples Therapy, and Personal Growth, W. W. Norton & Company, New York, London, 2006. Sacred Therapies: The Kundalini Yoga Meditation Handbook for Mental Health. W. W. Norton & Co. Inc., 2012. Shannahoff-Khalsa DS, Sacred Therapies: The Kundalini Yoga Meditation Handbook for Mental Health. W. W. Norton & Co. Inc., 2012. 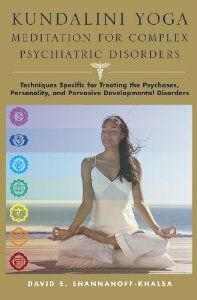 Kundalini Yoga Meditation for Complex Psychiatric Disorders: Techniques Specific for Treating the Psychoses, Personality, and Pervasive Developmental Disorders, W. W. Norton & Co. Inc, 2010. 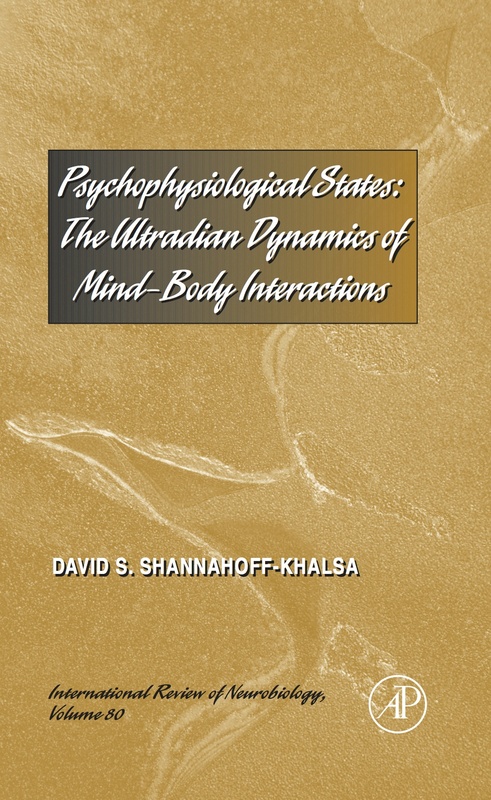 Psychophysiological States: The Ultradian Dynamics of Mind-Body Interactions, In the series “International Review of Neurobiology,” Academic Press (Elsevier Scientific Publications), vol 80, 2008. Shannahoff-Khalsa DS, Golshan S, Nasal cycle dominance and hallucinations in an adult schizophrenic female, Psychiatry Research, 226, pp. 289-292, 2015. Shannahoff-Khalsa D. (2012) Meditation: The Science and the Art. In: V.S. Ramachandran (ed.) The Encyclopedia of Human Behavior, vol. 2, pp. 576-584. Academic Press. Shannahoff-Khalsa, DS, Selective Unilateral Autonomic Activation: Implications for Psychiatry (a review article), CNS Spectrums: The International Journal of Neuropsychiatric Medicine, 12(8), pp. 625-634, Aug 2007. Shannahoff-Khalsa DS. Patient perspectives: Kundalini yoga meditation techniques for psycho-oncology and as potential therapies for cancer. Integrative Cancer Therapies, 4(1):87-100, 2005. Shannahoff-Khalsa D, An Introduction to Kundalini Yoga Meditation Techniques that are Specific for the Treatment of Psychiatric Disorders, The Journal of Alternative and Complementary Medicine, 10(1), 91-101, 2004. 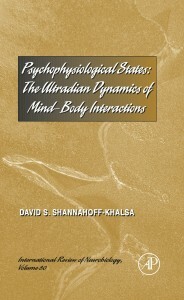 Shannahoff-Khalsa DS, Kundalini Yoga meditation techniques in the treatment of obsessive compulsive and OC spectrum disorders, Brief Treatment and Crisis Intervention, 3:369-382 (2003) (by invitation). Shannahoff-Khalsa, DS, Ray LE, Levine, S, Gallen, CC, Schwartz, BJ, Sidorowich, JJ, Randomized Controlled Trial of Yogic Meditation Techniques for Patients with Obsessive Compulsive Disorders, CNS Spectrums: The International Journal of Neuropsychiatric Medicine, vol 4, no. 12, pp. 34-46, 1999. Shannahoff-Khalsa, DS, Yogic Techniques are Effective in the Treatment of Obsessive Compulsive Disorders, In: Eric Hollander & Dan Stein, eds., Obsessive-Compulsive Disorders: Diagnosis, Etiology, and Treatment, Marcel Dekker Inc., New York, pp. 283-329, 1997. From "Kundalini Yoga Meditation for Complex Psychiatric Disorders: Techniques Specific for Treating the Psychoses, Personality, and Pervasive Developmental"
From "Kundalini Yoga Meditation: Techniques Specific for Psychiatric Disorders, Couples Therapy, and Personal Growth"
From "Sacred Therapies: The Kundalini Yoga Meditation Handbook for Mental Health"
"The origins of psychopathologic states are believed to be determined by the interactions of both the environment and the genetic factors, especially during the sensitive periods of development. Since multiple risk factors can play a role in the origin of mental disorders, it is likely that multiple approaches in treatment can be used to alleviate their symptoms. Kundalini yoga meditation is a unique approach. Shannahoff-Khalsa is not only helping to disseminate this knowledge but he is also helping to set the stage to create a scientific perspective for Kundalini yoga. In his book, he clearly describes a wide array of disorder-specific protocols that have helped uncountable individuals and can now be backed up by evidenced-based studies." 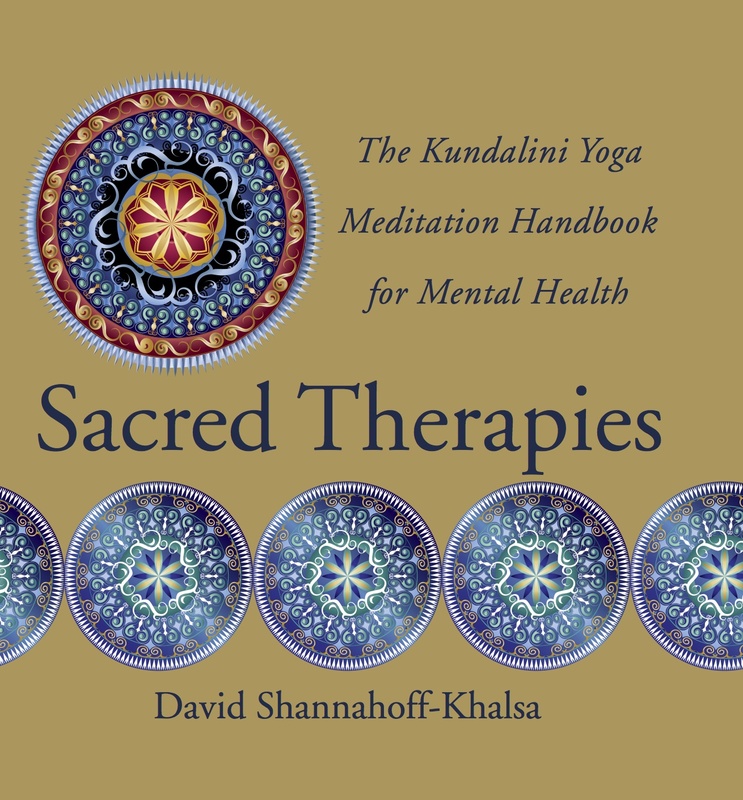 "In this new book, David Shannahoff-Khalsa brings together his 20+ years of experience using Kundalini yoga meditation to understand and treat psychiatric disorders. Having worked with David on the design of a new study in adults with OCD, I can attest to the seriousness of his scholarship. And having been a lifelong meditator in another Asian meditation tradition, I can also attest to the enormous wisdom and practical value embedded in his work. In fact, David's careful translation of Kundalini practices for Western audiences is a model of both academic rigor and a testimony to his great compassion for those afflicted with mental illness. I highly recommend this book for anyone interested in applying Kundalini yoga in a psychiatric context." "Shannahoff-Khalsa expertly presents ways that Kundalini yoga can help people overcome an array of symptoms, such as bouts of insomnia, stress, or anxiety from interpersonal problems. Breathing is a major way in which we can link the outside world of our internal environments, and this books lays out a series of exercises that have worked for centuries to help mankind cope. I personality prescribe a few of the exercises to even my most debilitated CFS patients. Besides the possibility of improved health, the exercises are a way to put control back into the patient's hands." "Eastern wisdom informs Western science in David Shannahoff-Khalsa's quest to bring the benefits of Kundalini yoga meditation to relieve the emotional pain and mental distress of obsessive compulsive disorder and other disabling psychiatric conditions. Richly illustrated with clinical case histories, this book bridges the tensions between these two world views by offering a detailed repertoire of yogic breathing techniques and postures embedded within controlled treatment outcome trials. Readily practiced within everyday settings, these techniques open the ancient yogic technology of the mind to the reader while remaining grounded in modern neuroscience." —Frank W. Putnam, M.D. Kundalini Yoga Meditation is an ancient technology of the mind that includes approximately 5000 different meditation techniques, that were originally taught by Guru Ram Das and Yogi Bhajan. Many are psychiatric disorder-specific and they have clinically proven therapeutic benefits according to the ancient yogis. The techniques in this system were also used to help people achieve enlightenment, as well as for health purposes, and for the purposes of anti-aging and longevity. Photographs, Filming, and Film Editing by Beatrice Ring of RossiniProductions.net.